Please select a date of play to check availability on Aroeira II. The Aroeira 2 Golf Course is the sister to the Aroeira 1 Course. It is easy to reach by car due to the motorway going south and head west to Costa da Caparica. The architectural design of Aroeira 2 has a different game for the golfer to play with large fast greens. Due to the flat nature of the terrain, the fairways tend to be challenging by strategically placed bunkers, some of which are of a typical Scottish pot character. Water hazards are not forgotten with five attractive lakes. Golfers have a choice on each hole of five tee levels which will depend on their ability. 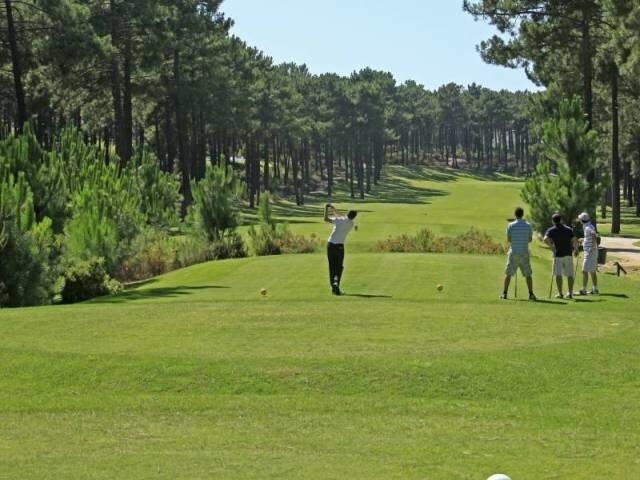 The location of the Aroeira 2 golf course has also been developed by the owners into an attractive family style leisure centre. Nice course, friendly people. Long holes. Well maintained. Interesting water hazards. To post a review, score or a notice on Aroeira II page's or to connect with other Aroeira II golfers, please log in to your account or sign up using Google or Facebook.